Just the ticket for a November weekend outing. See the fleet of 1960s first generation diesels has a chance to get out and stretch their legs at our diesel gala this November. Amongst the home fleet expected to be performing are BR Sulzer Type 2 (Class 25) D7612, BRCW Type 3 ‘Crompton’ (Class 33) D6501, 0-6-0DE shunter (Class 09) D3721 and ‘Bubblecar’ single railcar W55000. 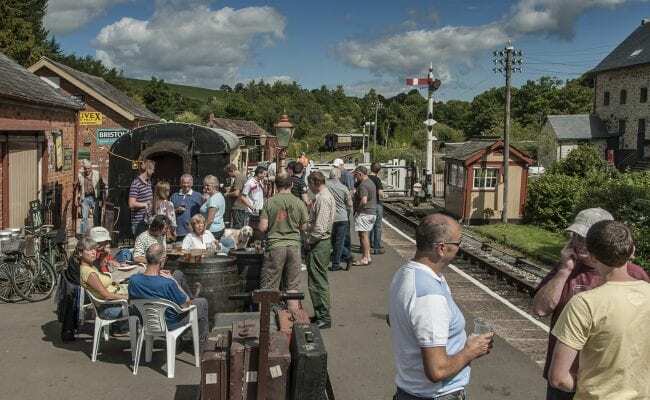 An intensive service will operate between Buckfastleigh and Totnes Riverside and there will be a bar on every train. BR diesel hydraulic Type 1 (Class 14) D9526 (above, photo by Alan Groves) will be our visiting locomotive this year, from its home on the West Somerset Railway courtesy of our friends at the Diesel Electric Preservation Group. These popular hydraulic locomotives, nicknamed Teddy Bears, were built at Swindon for shunting and branch line freight work, with many being sold to industrial yards. including the NCB and iron ore works, for the later part of their working careers before preservation. This will only be the second visit for one of this class of locomotive to the branch. 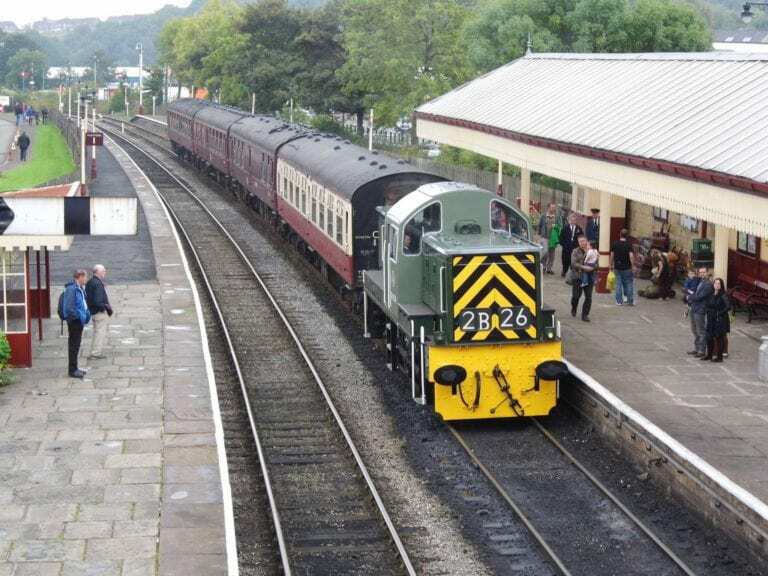 The locomotive will be in use over all three days of the diesel gala from Friday 2nd November to Sunday 4th November. BR Sulzer Type 2 (Class 25) D7535 (above, photo by Sarah Anne Harvey) has joined the home fleet and will be taking part in the gala. The locomotive comes from the Dartmouth Steam Railway and has been exchanged for English Electric Type 3 (Class 37) D6975. D7535 was a visitor back in 2014. Our second visitor is somewhat of a celebrity. English Electric 0-6-0DE shunter, 08483, will make the short trip to the SDR from Laira TMD, where it is normally to be found shunting carriages at the main line depot. This will be a rare opportunity to travel behind this veteran mainline shunting locomotive, which is resplendent in British Railways black livery. 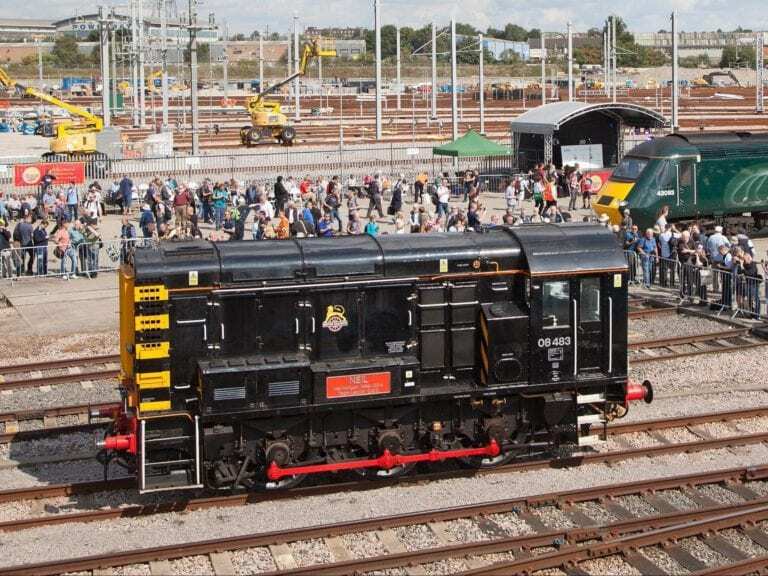 Our thanks go to our friends at Great Western Railway for allowing their locomotive to visit our event.